The fun starts right away in the artsy lobby. 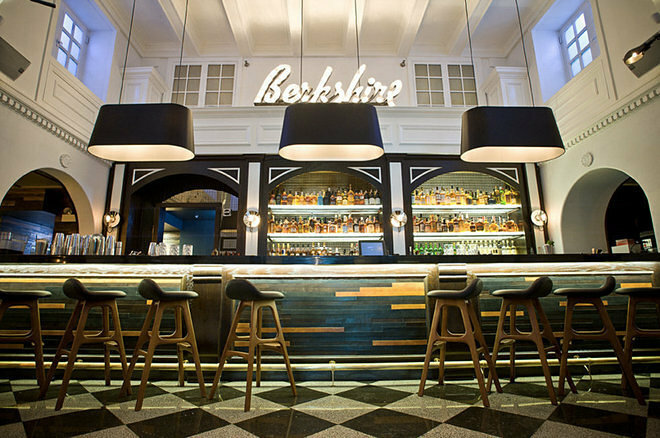 Later, you can relax with a drink at The Berkshire Room restaurant and lounge or grab a coffee and a pastry at West Town Bakery. Then head up your room in an elevator plastered with music album covers. The rooms carry over the quirky decor and also bring in tech features that you typically won’t find in a traditional hotel. The hotel was listed in TravelMag’s “The Best 4-star Hotels in Chicago.” Its downtown Chicago Loop location is near attractions like the Art Institute of Chicago and the theatre district. Want to see more hotel partners for PRINT 18? Note: The last date to book the guaranteed lowest rate for PRINT 18 is August 31st. After this date, rates may increase and hotel rooms may not be available.